Sign seen in front of Al Gore’s mansion in Nashville’s posh Belle Meade neighborhood Thursday afternoon. No details on the size of the solar panels, how much power they’ll generate, or whether or not they’ll be tied into the grid via a “net metering” arrangement so Gore can sell excess power to the grid. Tennessee is not a mandatory “net metering” state, though the local electric utility that serves Gore’s house does offer the option for customers who generate their own power. Nashville Electric Service, which distributes Tennessee Valley Authority power, allows customers to sign up for TVA’s “Generation Partners” program, which buys customer-generated “green” power at a rate of 15 cents per kilowatt hour. 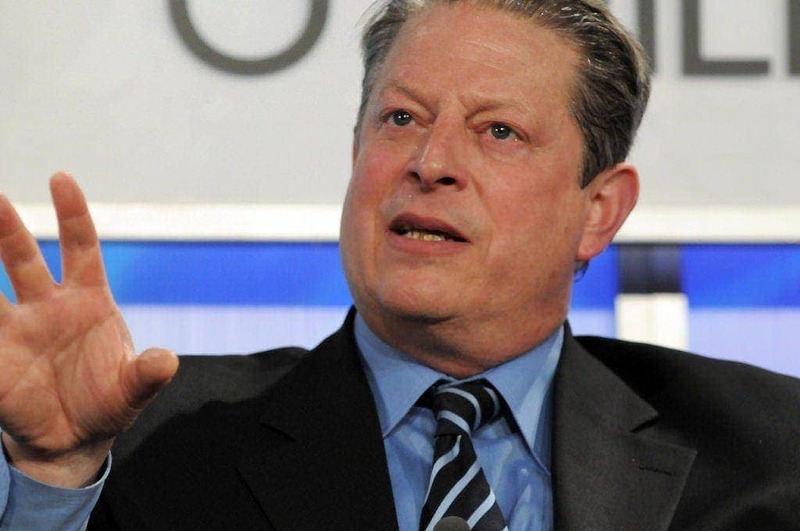 No word if Gore himself will be at the zoning board meeting to make the case for why he should be allowed to put solar panels on his house. For all the grief – deserved, I believe – that I and others have given Gore for his use of “carbon offsets” to pretend to be “carbon neutral” rather than actually personally living the he wants others to live (while some people actually do the hard work to live green), it’s good to see him trying to “walk the walk” with solar panels.